Rinse the asparagus under cool water and then cut off the hard ends. 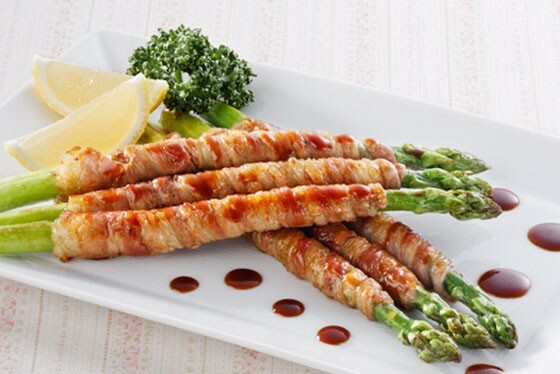 For a little extra flavor, coat the cut asparagus with melted butter (using a small brush is essential) while you prepare the bacon. Sprinkle your desired amount of salt and pepper on the asparagus. Prepare a cooking sheet and lay the bacon, sprinkling them with pepper. Place the asparagus on top of the bacon and begin wrapping. Throw into a heated pan with your olive oil (whatever oil you prefer), making sure to flip the wraps to have a nice browning on every side. Wait a few minutes after cooking, then serve with a nice glass of your preferred beverage!